The Next Step follows the lives of an elite group of dancers who train at The Next Step Studio. Season five brings about a lot of changes. As many dancers leave to pursue their goals and dreams, former dance captain Emily steps in to take control. But, her strict regime isn’t welcomed by everyone and the studio quickly divides into two: Emily’s classically trained dancers, and the self-trained/hip-hop crew led by veteran A-Trouper Michelle. In the end, only one team can make it to Regionals and it’s a full out battle between East vs. West. At long last, TNS East and TNS West face off to see which troupe will get to represent The Next Step at Regionals. Kingston and Ozzy discover that Elliot has a secret. LaTroy is given the chance of a lifetime. 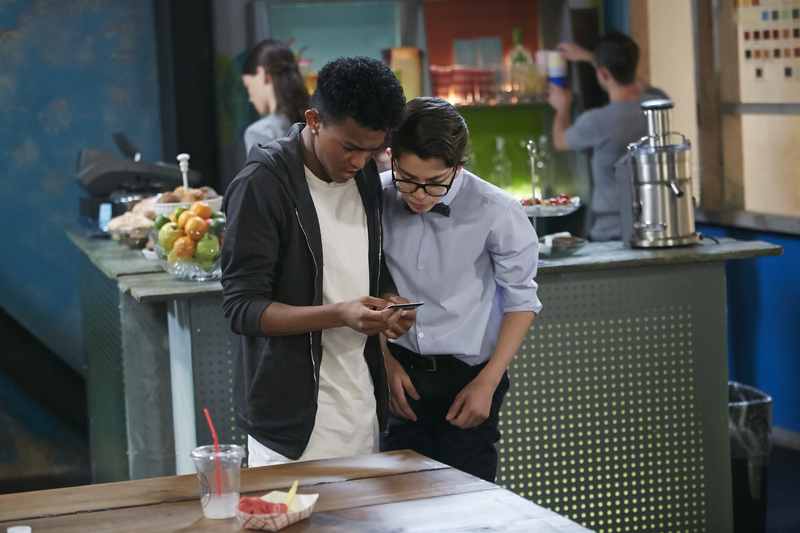 Noah and Jacquie’s relationship is tested. Miss Kate makes a shocking decision that will affect the future of TNS East and TNS West. Noah and Jacquie take their relationship to the next level. "STAND TOGETHER OR FALL APART"
Piper and Amy rally the troupes. Jacquie gets an enticing offer from a familiar foe. Josh finds out his time at the studio may be over. 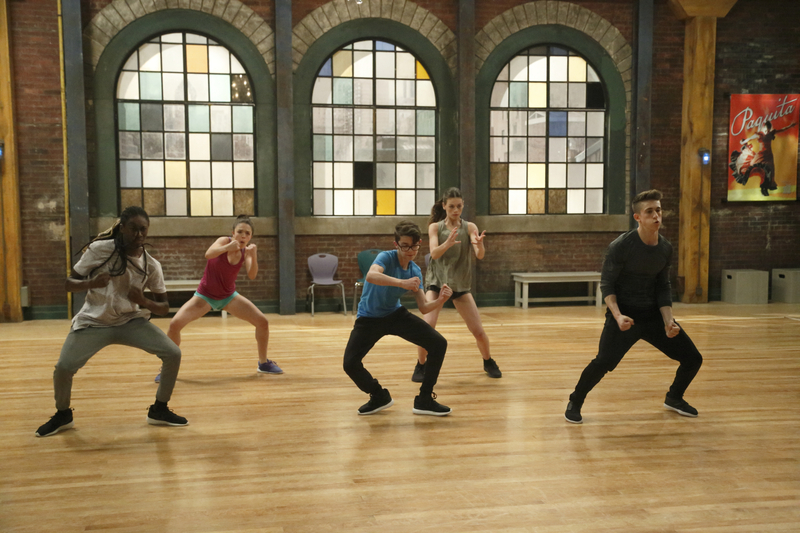 Kingston asks for Lola’s help to take his dance to the next level. Top row, from left to right: Dylan Ratzlaff (Jacquie), Brennan Clost (Daniel), Alexandra Beaton (Emily), Dawson Handy (Josh) and Jessica Lord (Lola). Bottom row, from left to right: Myles Erlick (Noah), Briar Nolet (Richelle), Milaina Robinson (Zara) and Alexandra Chaves (Piper). 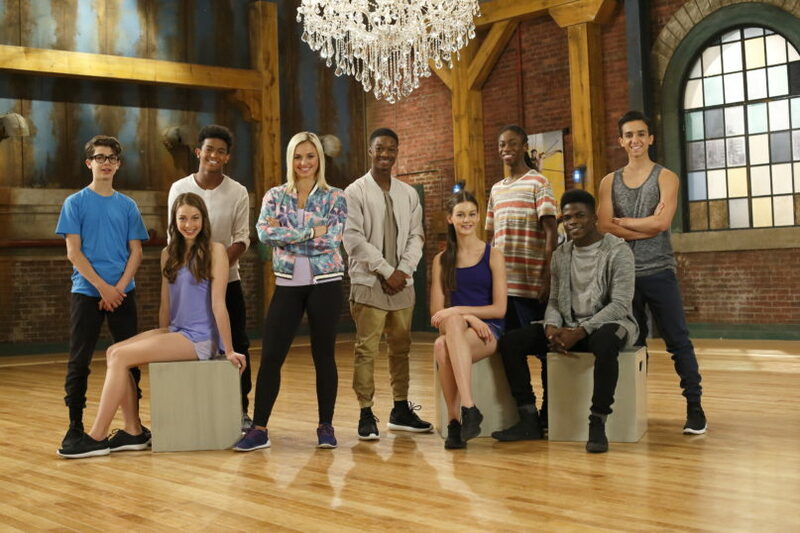 From left to right: Julian Lombardi (Ozzy), Shelby Bain (Amy), Noah Zulfikar (Kingston), Victoria Baldesarra (Michelle), Lamar Johnson (West), Hanna Miller (Heather), Isaiah Peck (Henry), Akiel Julien (LaTroy) and Julian Elia (Elliott). An accomplished dancer, actress, singer and choreographer, Victoria Baldesarra started her dance career at the age of three. Since joining the cast in season one, Victoria has danced across the world, performing live with The Next Step in Canada, the U.K., Europe, Australia and New Zealand. Fans can catch Victoria this summer as one of the hosts of Big Ticket Concert in Toronto! Alexandra has been performing for longer than she can remember. From dancing and singing her way across the stage in Ross Petty's Christmas Panto Sleeping Beauty to putting the fear in dancers everywhere as Emily from The Next Step, Alexandra has played a wide range of characters and has added something special to every one of them. Most recently she just returned from Canada's west coast after filming her last war project. Alexandra is one of the hosts at Big Ticket Concert this summer. Myles Erlick is an outstanding performer who was honored with the JUBA Award by the Chicago Human Rhythm Project and was a 2015 New York City finalist at the American Grand Prix. He has starred in the lead role for Billy Elliot the Musical and is considered a YouTube sensation, with a video that landed him a featured performance on The Ellen Degeneres Show. Myles most recently toured across the world with The Next Step and will be performing at this year’s Big Ticket Concert! At 16 years old, Briar Nolet was recognized as one of the top female contemporary/jazz dancers in North America. She has earned several National and International titles, including runner-up as a soloist for the American Dance Awards in New York City. Most recently, Briar toured across the world with The Next Step and this summer she will be performing at Big Ticket Concert in Toronto!